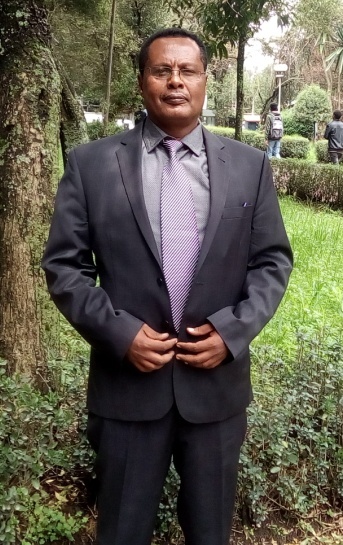 The Dissertation of MulugetaTeamir Sisayis connected with one of the focal problems of wheat-based extrusion process.Extruded expanded products are becoming an essential part of the food in the today’s fast-paced life. However, due to the presence of high amounts of starch, high gluten and low amounts of beneficial nutrients in most extruded products, frequent consumption of these products can result in health issues. Limited information are available on the addition of tef flour, sesame protein concentrate and tomato powder in combined form to the wheat based system. Furthermore, the effect of extrusion processing on wheat-based product quality is not known. Therefore, the aim of this research was to evaluate the possibility of addition of tef flour, sesame protein concentrate and tomato powder to wheat flour in order to produce functional, protein-dense and reduced gluten extruded products. Varying the compositions of the blends and processing conditions showed that feed components and processing conditions had significant (P ≤ 0.05) effects on physicochemical, functional and rheological properties. Tef flour and tomato powder significantly improved the antioxidant activity level of the extruded products to 119.61 µmol TE/100 g, db compared to all wheat extruded product (60.9 µmol TE/100 g, db). Sesame protein concentrate significantly elevated the protein content and simultaneously lowered the carbohydrate content of the extruded products from 74.15 g/100 g to 61.35 g/100 g. In a formulation containing highest levels of protein content (up to 33 g/100g), product qualities were at the acceptable range. All wheat-based extruded products had more elastic behavior than viscous ones. Storage modulus and loss modulus of the extruded products increased with increment of frequency from 0.1 to 100 rad/s. Higher Gʹ than Gʹʹ over a range of frequency has been found in all wheat-based extruded products that testify the extruded products had an elastic behavior than viscous. During extrusion cooking at higher temperature and lower moisture content, acrylamide was formed within the acceptable range (59.33 - 260.01 µg/kg) Antioxidant activities and other product qualities of wheat-based extruded products were significantly (P ≤ 0.05) affected by the process conditions. Increasing screw speed, moisture content and feed rate resulted in a shorter mean residence time level (less than 63 s) and a decreasein the spread. The flow in the extruder approached plug flow as the feed rate increased and approaching mixed flow as an increase in the screw speed. E and F distributions were responsive to process variables and well predicted. Relationships of processing conditions and components with extruded product qualities were investigated using artificial neural network (ANN) model. The weights and biases for regression estimation were optimized. ANN proved to be a powerful tool in modeling. Neural network efficiently predicted with all R-squared values above 0.89 and very low root mean square error. These models performed better than the statistical models. The findings from the present study confirm that it is possible to produce consumer acceptable functional and nutrient-dense wheat-based extruded products. The results obtained improve our understanding on the usefulness of artificial neural networks for modeling. Summarizing, the candidate for PhD degree has performed large amount of insightful research and obtained new original results which broaden our understanding. The Dissertation work has been performed at a high scientific level. All important results presented in the Dissertation are published in peer-review journals. Judging by the Dissertation, the candidate MulugetaTeamirmerits the PhD Degree.